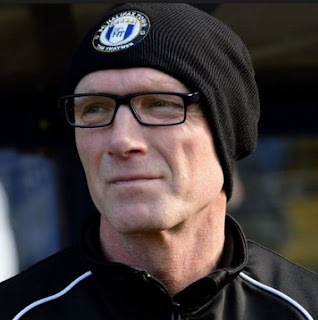 Gateshead born Neil Aspin is the current “Gaffer” at Vale Park and has only been in charge a few weeks. A defender who had long spells at Port Vale and Leeds United made around 700 professional appearances. He has managed at at Harrogate, AFC Halifax and more recently Gateshead. 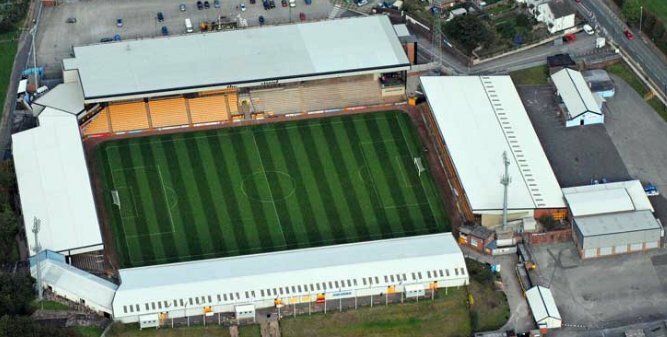 Vale Park can be found in the town of Burslem one of the six towns that link to form Stoke on Trent. M6 to its junction 15 and take the A500 signposted Stoke on Trent. Continue over two large roundabouts looking out for the A527 at the next, signposted Tunstall and Burslem. At the next smaller roundabout turn right onto the B5051 (Newcastle Street). This will bring you into the Town centre. At the next roundabout carry straight on and straight ahead at the traffic lights into Moorland Road. You will see Hamil Road second to your left. There is a large car park located outside the superstore next to the ground. Parking will cost £5 although limited street parking is available. The nearest station is Longport, which is just over a mile from the ground. It is on branch line with just one train an hour from Stoke-on-Trent railway station. The journey from Stoke takes only six minutes. Stoke-on-Trent station is around four miles from the stadium. The option of a taxi is favourite from Stoke-on-Trent which will set you back about £12.00 – made for sharing! The Number 24 bus from the station runs close to the ground. Just outside the away turnstiles is a Club Bar called the 'Vale Social'. It does allow away fans but you will have to folk out £2.00 to get in! For the real ale enthusiasts among you try The Bulls Head at 14, St John's Square ST6 3AJ. Tel: 01782 834153. It is an outlet for the local Titanic Brewery – which goes down well! The Leopard and the Post Office Vaults are also around St John's Square and come recommended by the club. Unless you are really sad and long for the old established take aways the best bet is a meal in one or other of the aforementioned pubs. If you are catching a late train home or staying over then for a truly top class Curry check out Kismet in Queens Street ST6 3EL Tel: 01782 818278. 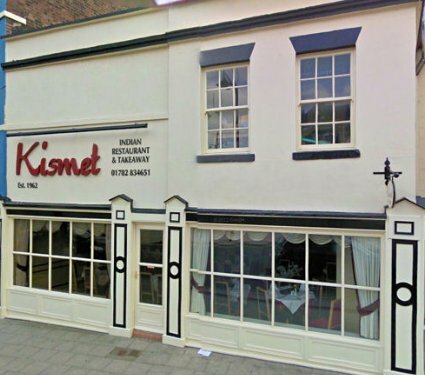 It was one of the earliest Indian Restaurants opened in the UK and is still going strong after 50 years. A fairly wide range of food and alcohol is available in the stadium. The ground was originally laid out in 1950 and was designed to be “The Wembley of the North” with a capacity of 70,000. Pictures from the era illustrate vast terraces with wide exits while the main stand player’s entrance was to be a very grand affair. Alas it was never to be. 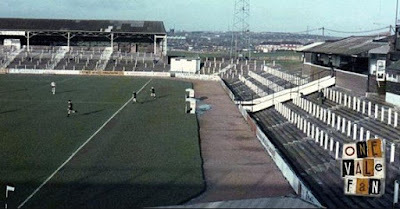 The Lorne Street Stand as it is now known has been modified but is still to be fully completed. It has room for 5,000 plus 48 Executive boxes. Opposite we find the Railway Stand (the railway lines behind it long since up routed). Originally a terrace, it was covered and partially seated in the mid 1950’s before becoming extensively modernised and fully seated in 1991. The Hamil Road Stand built in 1989 is where the most vocal of Vale fans congregate while at the opposite end of the stadium one finds the Bycars Stand which will be our home for the day. This fully seated and covered area can accommodate some 4,000. However please note that the rake of seating is quite shallow. Wedged in the corner next to us is a fascinating structure (for you anaracks like me anyway) as it is the only section of the ground from the original 1950 lay out with its original roof too, the supporting pillars and the interior roof support gives it away. Stoke City, Stoke City and Stoke City. Our last visit in August 2013 ended in a 3-0 defeat. The games against Port Vale during the 1993/94 season were full of goals. In front of over 7,000 at Vale Park in August, six goals rattled past Gary Phillips without reply, Bernie Slaven and Martin Foyle both grabbing hatricks. For the return December, a closer game also finished with a Valiants win by 3-2. Kelly Haag and Zeke Rowe were on target for the Bees in front of 3,100. In May 2011 of course at Underhill Izale McLeod's penalty won the final game of the season to keep Barnet in the League and send Lincoln into the Conference. The list of famous persons from Stoke on Trent is never ending but the following fantastic four were born and bred a corner kick from Vale Park. 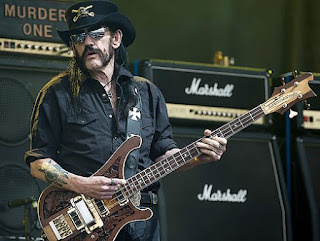 Dancer Robbie Williams, who incidentally is a huge Vale fan, ex National Lottery and Blue Peter presenter Anthea Turner, Numerous times Word Darts Champion Phil ‘The Power’ Taylor and the late great Ian Kilmister, better known of course as Motorhead front man ‘Lemmy’.